Our Shortwave signal istransmitted from a site in the Eifeldorf Kall-Krekel, Germany. 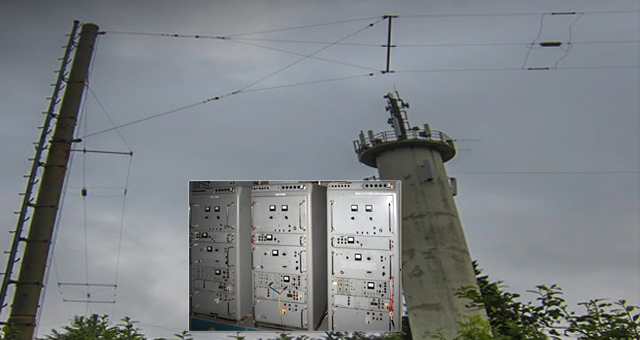 The 3 'all-purpose' 1Kw Rohde & Schwarz SK1 transmitters and antenna's we use are situated in a former police radio/army communication station, now in private hands. Our broadcast facility partner there is the new German company 'Shortwaveservice', that kept us steadily on the air for over 3 years now. They also facilitate airtime on high power Shortwave transmitters in other countries such as Armenia and Ireland when needed for our special events. From October 30, 2016, Radio Mi Amigo extended her airtime via a dedicated transmitter on the frequency of 6085 kHz, with daily broadcasting hours starting at 9:00 hrs and ending at 18:00 hrs. For now the programs consist of nonstop music from 'The Golden Era of Offshore AM -FREE- Radio', including our daily presented live programme 'Hello Europe!' daily at 14:00 hrs. This programme' is repeated on weeknights at 19:00 hrs via 3985kHz in the 75 meter band. From Friday till Tuesday all programmes on 6085 kHz from 9 in the morning until 6 in the evening, are presented live, in German, English and Dutch. During weekends there is an extra relay on a second transmitter in the 41 meter band on 7310 kHz between 12:00 and 16:00. The 6085 kHz and 3985 kHz signals serve West- and Central Europe whereas the 7310 kHz frequency usually reaches out further to the North and Southern parts of Europe. Shortwave reception varies depending on the seasons and certain atmospheric conditions, such as solar activity. There are occasions when we receive reception reports from India, Russia and other faraway places.